The Fullriver FR1-RT Battery Charger is a flexible and highly adjustable charger suitable for a wide range of applications. 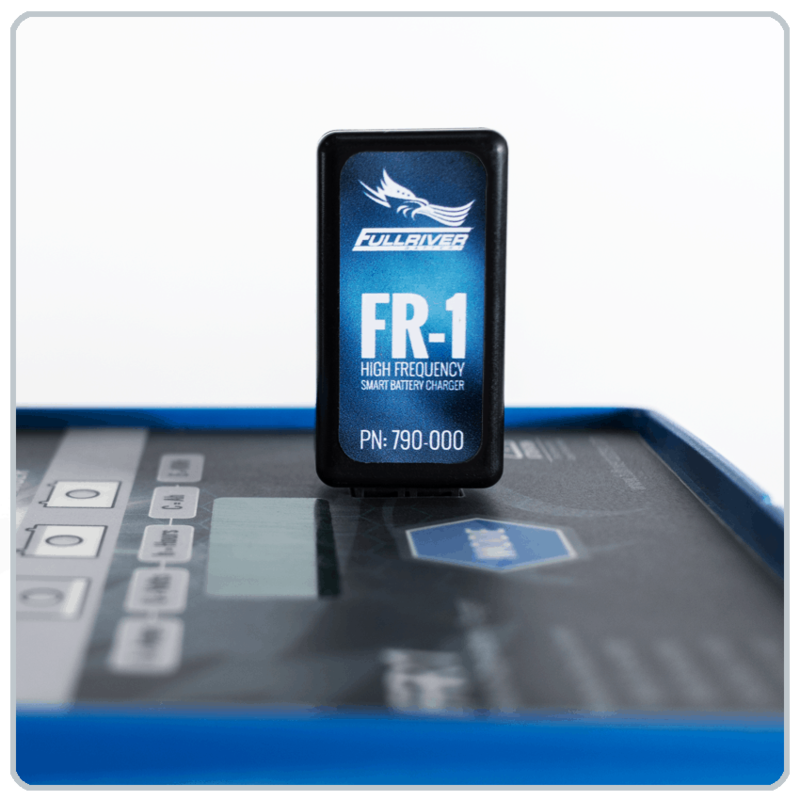 The FR-1 Charger is capable of multi-voltage, multi-amperage charging and can be programmed with a smart phone app and the Fullriver Wifi Dongle (sold separately, see related items.) It’s compatible with lithium and lead acid batteries including flooded, AGM and Gel. 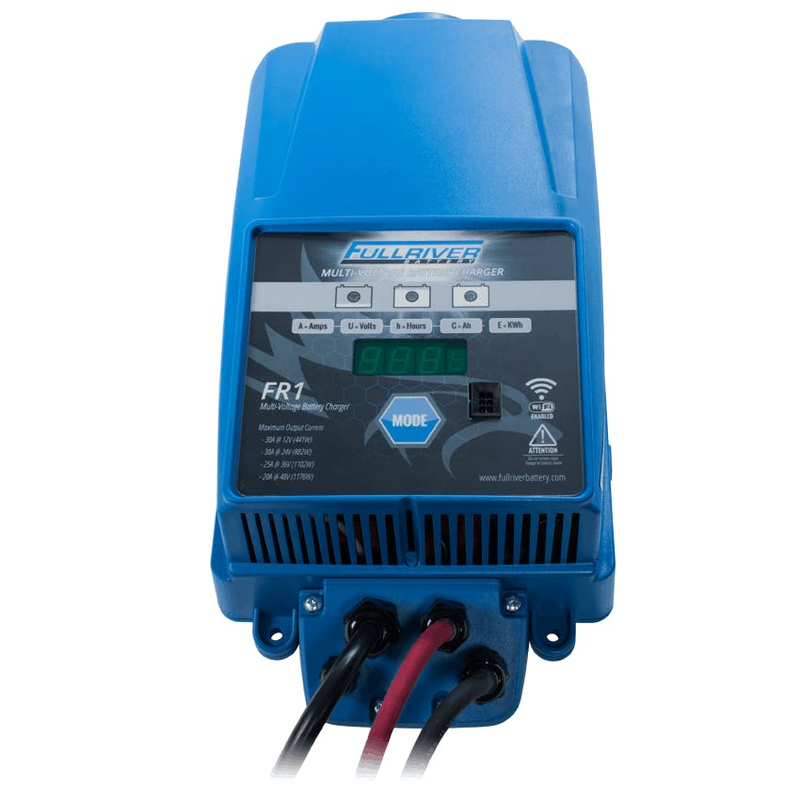 The FR1-RT charger includes 3/8” ring terminals for connecting to your battery bank and a 120v standard AC input plug for charging from shore power or a generator.